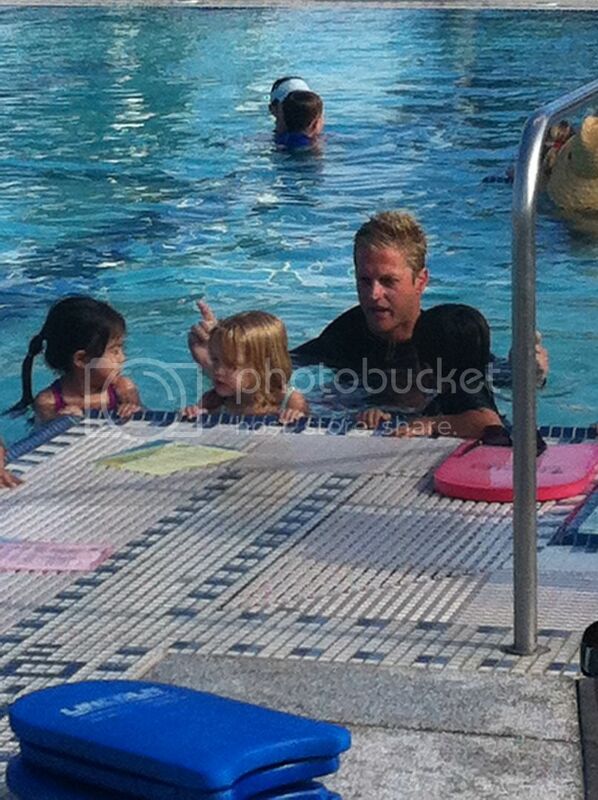 We put Scarlett in an intensive 8 session, four days a week, swim course for the next two weeks. We placed it just before bed time so she would crash hard at 6:30 and leave the rest of the evening open to finish all of the stalled house projects that are just too cumbersome during the day. So after a little prep (which is the best way to get Scarlett ready for any new activity), Scarlett was ready. And she rocked it. 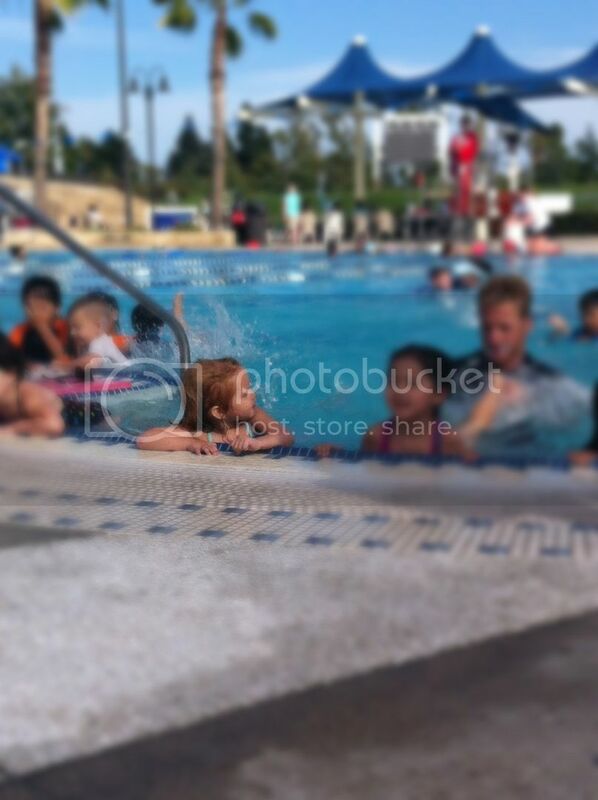 She splashed, she kicked, she floated and she listened to the teacher. 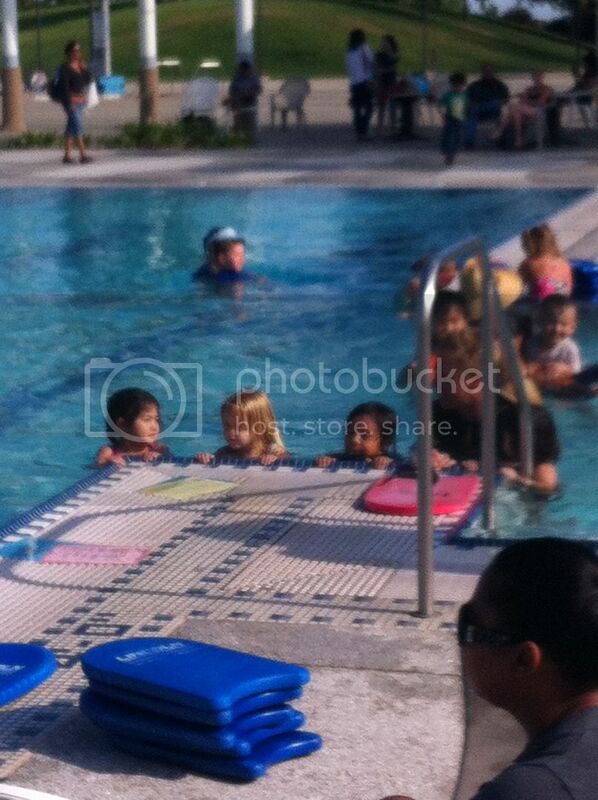 Swim lesson day one...success. This was the first time Chris has been present for any type of "class" setting with Scarlett. Within the first 30 seconds of watching her, he smiled, telling me how proud he felt watching her. I smiled in return and continued hovering, taking pictures and cheering her on. Chris, stayed in the back ground, encouraging me to join him in the chairs off to the side. We got in the car with a big sigh of relief that the first lesson went so swimmingly (pun intended). But, we also had to point out how differently we parent. I was the mom on the sidelines, joining the other cheering parents and Chris was the dad on the edge, making himself scarce, allowing room for Scarlett to grow on her own. And in true Chris fashion, he thought through every step of this process. This is what I love about my husband. He is incredibly intentional about everything that he does. He sometimes over thinks a situation, instead of just living in it, but usually it ends up allowing for unique insight into our parenting and family life. We both agreed that we are lucky to have such contradictory personality traits because when we meet in the middle the balance is perfection. I am lucky that Chris thinks through every step of parenting...literally EVERY STEP!!! I allow my feelings to dictate the way that I parent and he misses out on the touchy feely love that I have conquered with our kids. But when we meet in the middle and I make him feel his thoughts and he makes me think through my feelings we realize just how much we compliment each other. So I continue to encourage him to be proud of Scarlett, to cheer her on and let her know that he is there and he encourages me to take a step back and smile from the bleachers instead of from the coaches bench. Just close enough for her to know that we are there but just far enough away that she is aloud to be Scarlett.